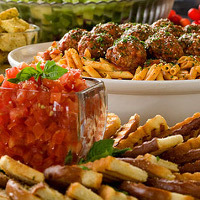 When throwing a party in New York caterers can be a huge help in making it a success. 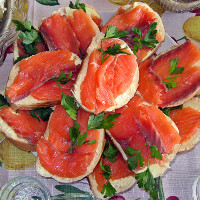 NY catering services make sure you don't have to worry about the food and can relax and enjoy your party. Whether you just need a bakery to deliver dessert or you need a full meal set up at your party venue, these caterers in NY can help. When you hire these caterers for your wedding, party or corporate event they will create a distinctive menu that you will never forget. Priding themselves on their attention to detail and memorable service, Classé Catering can provide menus for everything from barbecues to formal affairs. Choose from one of the pre-organized menus Classé Catering offers, or work with their event specialists to create a menu unique to your event. If you would simply like your chosen dishes dropped off at your venue, ClasséCatering offers an "Express" menu of platters, disposable buffets and boxed lunches. Hot or Cold Food, Desserts or Breakfast, This Caterer has All! 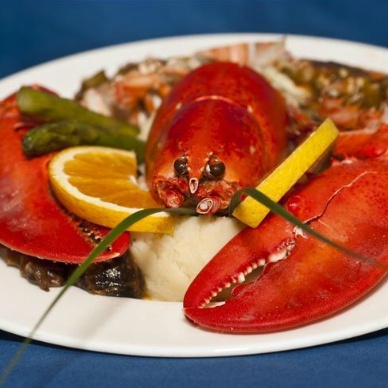 Clemente's has been offering fine catering and great food for over 35 years. Whether you are having a home birthday party or a large corporate event these fine NY caterers can provide the right amount of food for you. Offering a full menu of food from breakfast to dinner, cold lunches to hot buffets, their extensive menu can suit any party. Clemente's will happily tailor their menu to your specific needs. All cooking is done off-premises so you don't have to provide a large kitchen. 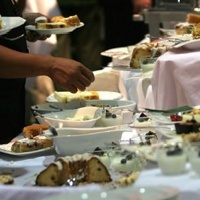 Manned buffet stations are also available for large groups. Contact Clemente's now for your next party! With over 10 years in the catering business, the chefs at Red Table Catering truly know their business. They offer several menus in a variety of styles, from Korean to French to American cuisine. Whether you want catering for a private party or a corporate event you will find that Red Table Catering is willing to work with you to create a menu that will satisfy your needs. Using only the freshest ingredients, hand-picked from the finest butchers and farmers' markets, the food from these professional NY caterers is sure to be delicious. Green, Organic and Healthy Cuisine! This unique catering company prides itself on having healthy, organic and eco-friendly cuisine for all its menus. 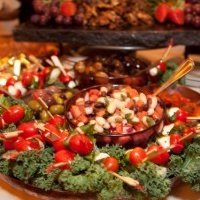 Whether you are having a small private event such as a birthday party or baby shower, or a large event such as wedding or corporate meeting, these catering services in NY can accommodate you. Choose from their delicious menu which is rich in cultural cuisine from around the world. 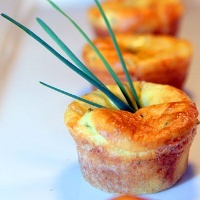 They will be happy to customize a menu for your event to meet your specific needs. Green Eats also offers equipment rentals such as tables, linen and glassware, making them your one-stop catering source! 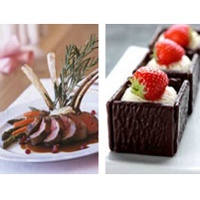 These caterers have over 20 years experience in providing delicious food to groups big and small. Elegant Eating can cater your home birthday party of 10 guests or a huge wedding with hundreds of guests, no event is too big or small for them! When you hire them to cater your event you can speak with one of their professional party planners to figure out exactly what menu would be right for you. Accommodating and flexible, these NY caterers can deliver food, make food for you to pick up, or set up manned stations for food service. Their creative menu has a wide range of food choices from appetizers through to dessert, they'll ensure you are satisfied. Great for Barbecues and Picnics! When throwing a party, whether big or small, food can be one of the most difficult parts of planning. 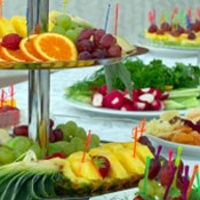 Have Dover caterers make the food for your next party and take the stress out of party planning! These caterers have been serving food to gatherings of all sizes for over one hundred years! From weddings and large corporate functions to family picnics and birthday parties, Dover Caterers can accommodate events of any size and type. These NY caterers are the official trusted caterers for over fifteen Nassau county parks and event venues! Catered Latino Food in the Bronx! 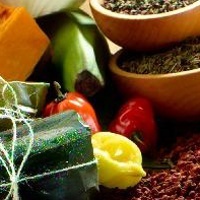 For over 20 years Salsa Catering has been serving the area with delectable South American food. They offer full off-site catering and will be happy to assist you in choosing a menu that would be just right for your event or party. Whether you need a hot or cold breakfast menu for a morning wedding, or a full dinner with dessert for a sweet sixteen, Salsa can accommodate you. Salsa Caterers can also do on-site catering where they will not only cook the food for you but will serve it to each of your guests. Ask them for venue recommendations. Korean Cuisine Catered to You! For over 14 years KumGangSan has been providing delicious Korean food to Manhattan locals. If you are having a party and need food with an Asian influence choose these caterers who can provide both a Japanese and Korean menu. Catering to parties as small as 10 or as large as hundreds, these professionals are able to accommodate your event. Off-site catering is available as is on-site catering at KumGangSan's partner venues - The Riverside Church and Terrace on the Park. From hors d'oeuvres to the main course these NY caterers will provide authentic Asian cuisine. 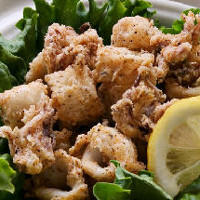 This professional caterer in NY offers not only the classic Italian food one can expect from a Manhattan restaurant, but has a menu of all sorts of Mediterranean foods and delicacies. Whether you are throwing a small dinner party or a sophisticated soiree, they can provide food that will delight the palates of your guests. From cocktails to dessert, this caterer has you covered. Mangia's many locations makes ordering easier, just pick the location closest to your event and ensure even faster delivery! 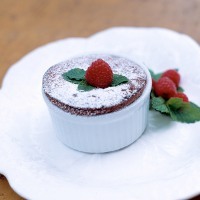 Nova Catering and Events offers a large menu for breakfast, brunch, lunch, dinner and dessert so whatever your event type and no matter the time of day, they will provide delicious professionally prepared food. Bridal showers, baby showers, weddings, corporate events, holiday parties and more can be enhanced by cuisine provided by Nova. Nova catering can provide your event not only with the food and desserts for your guests, but also with the catering staff to serve it. Whether you need waiters, bartenders, event directors or chefs, Nova offers professional and experienced service. Committed to providing excellent service and great food at affordable prices, Benjamin Catering has been providing food for NYC parties since 1974. Whether you need large event catering with white gloved servers on hand, or you simply want drop-off catering for a smaller event, Benjamin Catering can accommodate. Choose from a menu with many international cuisines prepared by expert chefs. Benjamin Catering prides themselves on never using MSG or additives and only using fresh ingredients. 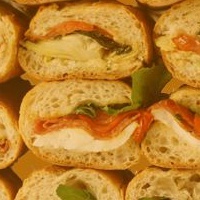 Delicious Italian Catering for your Event! 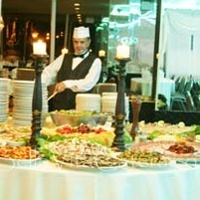 For great Italian catering choose Benateri's in Queens! This deli and caterer offers gourmet catering and is committed to providing excellent service and a fun enjoyable experience. Whether you have a small event with a few people or a large corporate event, Benateri's menu has food for all types of events and styles of eating. Casual lunches with sandwiches and catering trays of baked ziti, or fancier sit down events with chicken parmigiana or eggplant rollatini - Benateri's can offer it all. One of the Top Caterers in The Area! 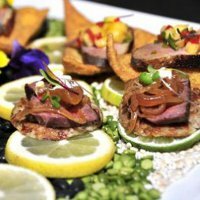 The goal of these caterers in NY is to create an event that reflects the uniqueness of your personality and taste. They will take your ideas and combine them with their catering flair and produce a menu and presentation that is sure to delight your guests. From a small event with 10 people to a large party with hundreds - from prepared food you pick up to hand served catering at your location, La Bella Vita can do it all. If you need a place to host your event, La Bella Vita also has a banquet hall that can be decorated in any style. Great Catering and Good Service! Ariana's pride themselves on quality service, amazing food and creative presentations. With world-class chefs preparing a menu of Italian-American cuisine of appetizers, entrees and desserts, you are sure to be pleased with what these NY caterers serve. Ariana's caters the entire tri-state area so wherever you need food for an event, they can be there. If you need a venue for your event, Ariana's has a classy and unique party space for up to 175 guests where you can host everything from a wedding to a corporate party. A Wide Range of Cuisine and a Kids' Menu! 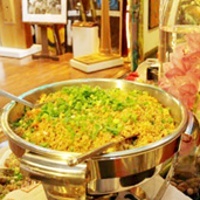 Bario's Catering can provide menus of all sorts to accommodate every type of event. Whether you simply want a hot family meal to go, or on-site catering for hundreds at a wedding, Bario's professional chefs and servers can provide for you. This NY caterer guarantees their food is always fresh and never frozen. 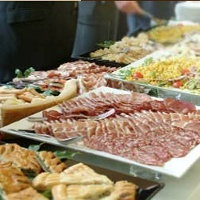 When you use Bario's to cater your event you can choose from hot buffet menus, wraps and heroes, a breakfast and brunch menu, cocktail party menu and a barbeque menu amongst others. Or create your own unique menu to reflect the personality of your event! Bario's also offers a children's menu for events that include the whole family. Exclusive caterer for Artisan Works, a gallery and event space in Rochester, Madeline's Catering has been providing excellent service to the area for over 10 years. Offering a wide ranging menu for any type of event, you can have Madeline's provide boxed lunches, hot buffets, platters, hors d'oeuvres, carving stations and more. Specializing in fully catered events where they handle everything, the professional chefs, bar tenders and serving staff at Madeline's will take care of it all from set-up to tear-down so you don't have to worry about a thing.